Can U.S. be a skillful interventionist with scant supply of foreign speakers? Marines from the 24th Marine Expeditionary Unit patrol in the town of Garmser in Afghanistan's Helmand Province this week. 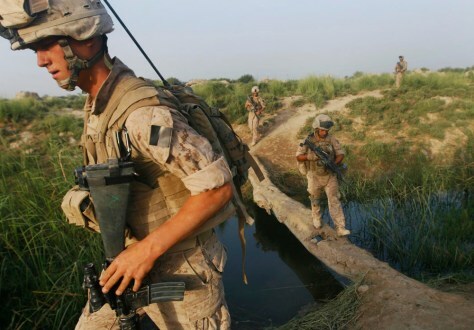 The Defense Department has extended the combat tour of 2,200 Marines in Afghanistan.